There have been important developments in the study and treatment of selective mutism during the ten years since the first edition of this book was published. Understanding of the subject has improved more dramatically than in any period since the phenomenon of children who talk readily in some situations but not in others was first recognised over a century ago. The second edition of this practical book reports recent developments in medication and combined therapies. New findings on the links between social anxiety, biological and genetic factors and selective mutism are described. At the same time the authors remain committed to understanding this pattern of behaviour in its full social context in family and community and to employing behavioural approaches to intervention alongside other methods. 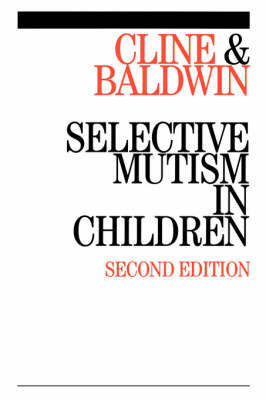 This is the fullest and most authoritative book--length account of selective mutism in print. Can I tell you about Selective Mutism?